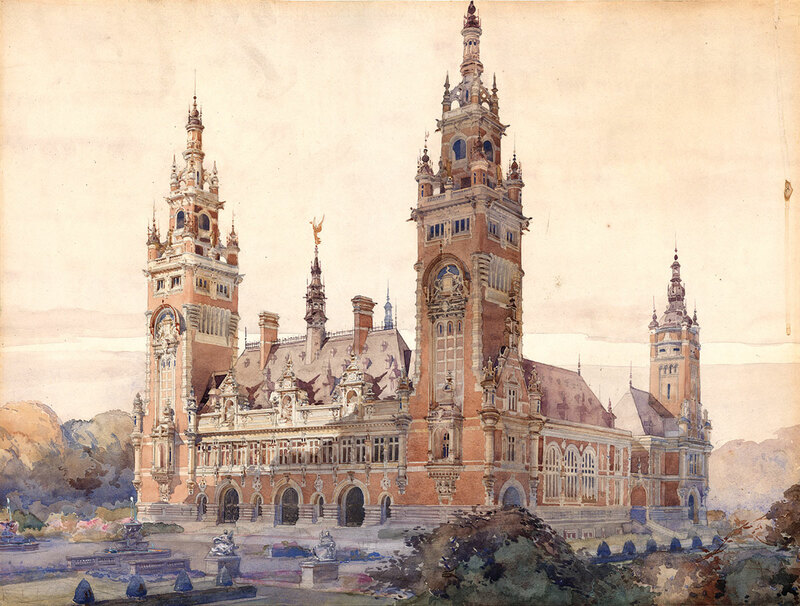 The competition to design the new Peace Palace in The Hague was not without controversy, not least because on May 11, 1906, the jury announced that the winner was … French! In 1913 Carnegie spoke at the dedication of the Peace Palace, the structure designed as the permanent home for the Court of Arbitration. 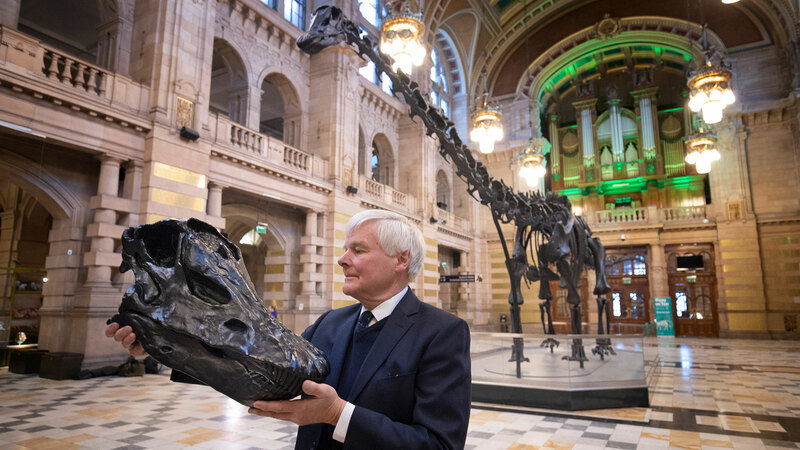 Financed by Carnegie, it “became the physical manifestation of his desire to bring about world peace, the same desire that fuels the Corporation’s work today,” says Del Rosso, program director for international peace and security at the Corporation. Indeed, the Palace now accommodates not only the arbitration court but also the International Court of Justice (the principal judicial arm of the United Nations, commonly known as the World Court), as well as an international law academy and a research library holding the world’s largest collection of materials on international peace and justice. To ensure that the building would be as lofty as its mission, the planners held an architectural competition — a tradition dating back at least to 1419, when Filippo Brunelleschi was selected to design the dome of the famed Cathedral of Santa Maria del Fiore in Florence. By the 20th century, architectural competitions had become de rigueur for significant public projects. The Peace Palace competition presaged several better-known contests: in 1948, Eero Saarinen’s design for the Gateway Arch, on the St. Louis waterfront, was chosen from among 172 entries (including one submitted by his father, Eliel Saarinen). And in 1957, Jørn Utzon, a young Danish architect, triumphed in a competition to design the Sydney Opera House, known for its iconic, sail-like roofs. Tellingly, the Florence cathedral, the Gateway Arch, and the Sydney Opera House are among the world’s most recognizable structures. At their best, competitions elicit compelling designs, often from little-known architects who wouldn’t otherwise have been considered for such high-profile commissions. To the list of relatively obscure architects who have won important competitions, add the name Louis-Marie Cordonnier (1854–1940) of Lille, France, whose Peace Palace design was selected in 1906 from among 216 entries. More than a century after its completion, the red-brick and sandstone building stands as an “icon of the development of international law,” in the words of Arthur Eyffinger, author of the definitive study The Peace Palace: Residence for Justice, Domicile of Learning (1988). It is also a major tourist draw. Upon entering the building, visitors immediately sense that it “is a ‘palace’ in the true sense of the word. The distinguished impression of the building’s exterior is heightened still by the soberness, the quiet of the interior, which has no room for ‘overcrowding.’ … Even a layman could guess at once that choicest materials from all corners of the earth have been gathered and lovingly made into what they are by artists’ hands,” wrote C. H. de Boer, author of a guidebook to the Palace (1948; 1951). 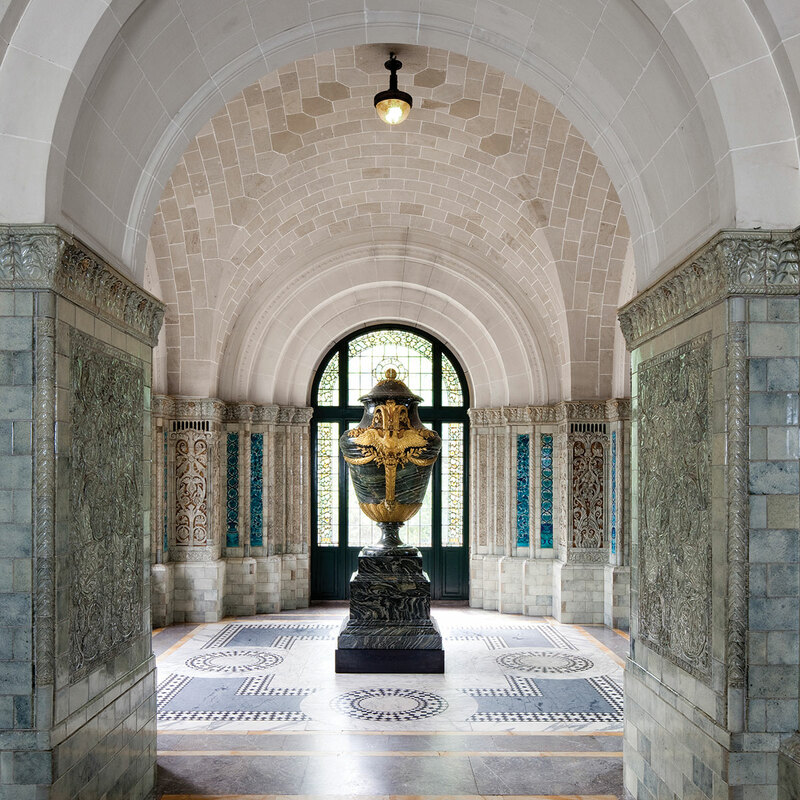 Such extravagance was made possible by the deep pockets of Andrew Carnegie, whose fondest hope was that the work conducted within the Palace walls would make war obsolete. This aim was shared by Russia’s Czar Nicholas II, who in 1899 convened the Hague Convention to address the problem of international weapons proliferation. Although the 26 nations participating in the meeting failed to reach a significant arms agreement, they did succeed in founding the Permanent Court of Arbitration as a means of resolving future international disputes. Because the court had no home of its own, in 1900 Russian diplomat Frederic de Martens traveled to Berlin to enlist the aid of the U.S. ambassador to Germany, Andrew Dickson White, in securing funding for an appropriate structure. White immediately thought of Carnegie, whose interest in world peace was well established. Initially, the philanthropist offered to donate a library to the new court, but after protracted negotiations he pledged $1.5 million (more than $43 million in today’s dollars) toward construction. In 1904 the board of the Carnegie Foundation, which is based in The Hague, assumed control of the project, and a year later the Dutch government bought the Foundation two properties, totaling 16 acres, in an idyllic spot alongside the extensive royal woods known as the Zorgvliet. The Foundation, advised by a leading Dutch architect, began planning the competition. Every architecture competition involves trade-offs, and this one was no exception. As Eyffinger, a classicist, law historian, and former head librarian of the International Court of Justice, recently explained in an email: “Prize competitions are highly interesting, if mostly saddening stories in which, more often than not, human nature and rivalry prevail over technical and strictly professional issues.” However, the ultimate success of the Peace Palace design speaks highly of the process followed by the Carnegie Foundation. The first thing the organizers of an architectural contest must decide is whether to allow all architects, or only a preselected group, to enter. An open call may bring a flood of submissions, but few from established architects (who are likely to be deterred by the low odds of winning). Conversely, an “invited competition” would exclude lesser-known architects who might have the most original ideas. In the case of the Peace Palace, an additional question arose: Should the competition be limited to Dutch architects, as the Royal Institute of Dutch Architects demanded at the time, or should it be open to architects of any nationality, the view — not insignificantly — of Andrew Carnegie himself? Eventually, the Carnegie Foundation board decided on a competition that was both open and closed. It would be international — as befits an organization dedicated to world unity — but limited to entrants nominated by the 26 countries that took part in the 1899 Hague Convention. (The single exception was the nomination of American architects, which was left to Carnegie himself; he chose Peabody & Stearns of Boston and Carrère & Hastings of New York.) The Foundation board, besieged by requests from foreign architects and their professional associations that the competition be open to anyone, eventually relented, although only the invited firms were paid a stipend for participating. Another issue in architecture competitions is whether to solicit fully developed designs or mere conceptual sketches. The former approach, requiring hundreds of hours of work, might discourage all but the best-funded practitioners. The latter, a so-called ideas competition, may result in the choice of an exciting scheme by an architect who then turns out to have little practical experience. In this case, the board set the bar very high: the “Programme of the Competition for the Architectural Plan of the Peace Palace for the Use of the Permanent Court of Arbitration with a Library,” distributed worldwide on August 15, 1905, informed architects that they had seven months to produce plans, elevations, sections, and perspectives for a finished structure meeting hundreds of precise requirements. The process proved overwhelming, and, as the deadline approached, the participating architects were granted an extra month. More than 200 entries arrived by the (revised) deadline, April 15, 1906. The six jurors (chosen by the Carnegie Foundation board) included the president-elect of the Royal Institute of British Architects, the architect of the Rijksmuseum in Amsterdam, and the German emperor’s personal architect, among other grandees of the profession. The one American was William Robert Ware of Milton, Massachusetts, founder of the architecture school at Columbia University. Altogether, the entries comprised more than 3,000 drawings — so many it was hard to find a place to hang them, until Queen Wilhelmina of the Netherlands offered the walls of her Kneuterdijk Palace. There, in May, after reviewing the proposals privately, the jurors convened to pick a winner. They began by naming their favorite projects. Forty-four plans received at least one nod, and thus qualified for further discussion. The field was eventually narrowed to 16. 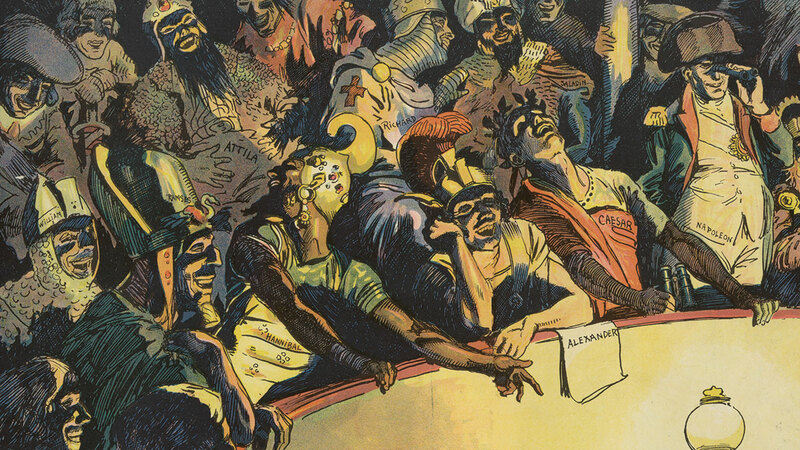 Several jurors were unsatisfied with the pool of entries and suggested, to no avail, that the contest be reopened. More positive attention was focused on the fourth-place design, by the Austrian architect Otto Wagner, a leader of the Vienna Secession movement and one of the great figures of 20th-century architecture. In fifth place was the New York firm of Greenley & Olin, whose design hued to the neoclassical style exemplified by The New York Public Library’s central building at Fifth Avenue and 42nd Street. A plan by another highly influential architect, Eliel Saarinen of Finland, didn’t make the top six, nor did any proposal from the Netherlands. Modernism was also nowhere to be seen among the finalists. The selected plan prompted not just criticism but also litigation. Between 1907 and 1911 a group headed by Hendrik Berlage, a celebrated Dutch architect, fought to annul the result of the competition, claiming, among other things, that the cost of Cordonnier’s scheme would far surpass the announced budget. Although the board ultimately won dismissal of the suit, at one point it seriously considered scrapping the jury’s verdict and going with the Saarinen plan. Not legally bound by the jury’s decision, it also at one point thought of moving forward with the Greenley & Olin proposal. 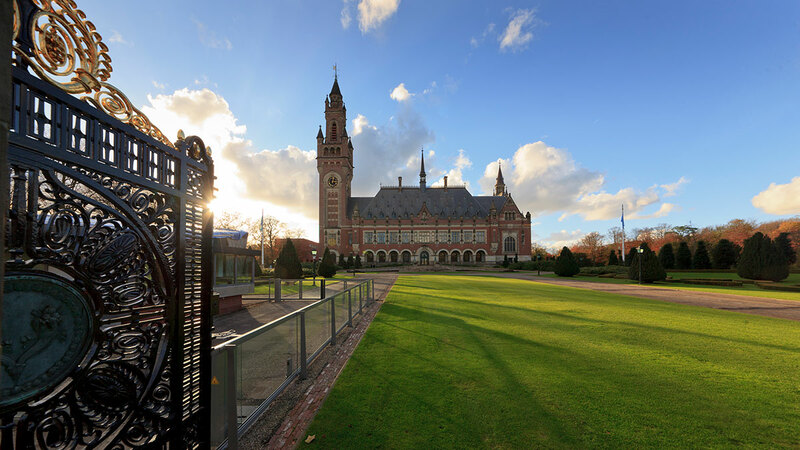 The Peace Palace was meant to embody the promise of the future. But its style was based entirely on the past. Indeed, oddly for a building dedicated to eradicating war, many of its details were derived from forts and castles. Its architect, Louis-Marie Cordonnier, was accustomed to replicating the work of earlier eras. Born in 1854, he studied at the École des Beaux-Arts in Paris, where he was influenced by Eugène Viollet-le-Duc, restorer of France’s medieval monuments, and Charles Garnier, architect of Paris’s ornate opera house. 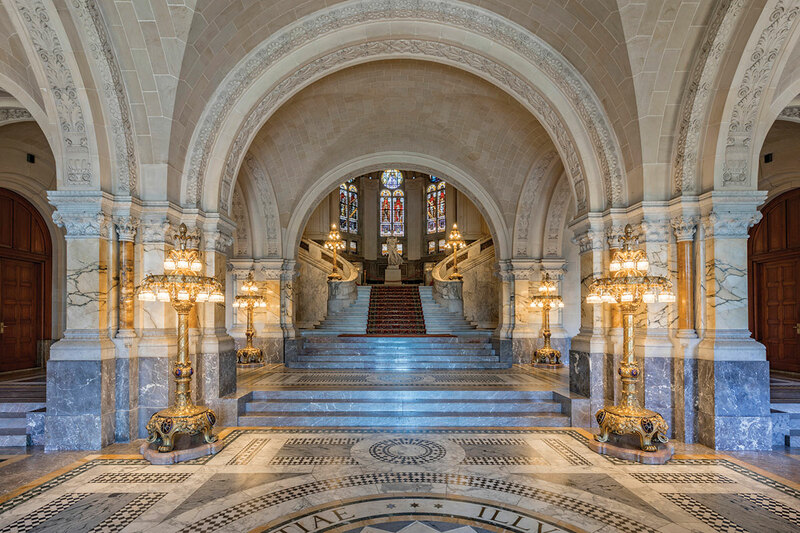 But the design of the Peace Palace was backward-looking even within the context of Cordonnier’s career, given its unmistakable resemblance to his Dunkirk (France) Town Hall, completed in 1901. Perhaps it’s understandable that Cordonnier would reuse aspects of past projects — the Peace Palace competition required architects to assemble detailed drawings in a very short time and on a tight budget. (As one of the 26 architects invited to participate in the competition, Cordonnier would have been paid a small fee.) Moreover, the Beaux-Arts tradition encouraged copying the successful elements of older buildings. But what about the judges? Were they right to pick a design that eschewed innovation, perhaps believing that historical references would give the building gravitas and, thus, legitimacy? Greenley & Olin’s admittedly beautiful and for its time thoroughly “safe” neoclassical design would have fit that bill nicely. Or would they have done better to choose something more forward-looking, given Andrew Carnegie’s desire that the world break with its past? The Palace of Peace … is far from being such a representative specimen of modern architecture as would have seemed fitting to its object. Indeed, it is wholly imitative of the architecture of another age, without the slightest effort at large symbolism of modern life. This is rather astounding, in view of the character of the man who gave the great fund for the creation of the Palace of Peace and of his adopted nationality, which is significant of the new and progressive, rather than of the old and retardative. But could the building, as the Times critic suggested, have served as a “representative specimen of modern architecture”? To be sure, most of the great monuments of the modernist era lay in the future; Mies van der Rohe and Le Corbusier, the German and Swiss-French masters of the International Style, did their most important work after World War I. 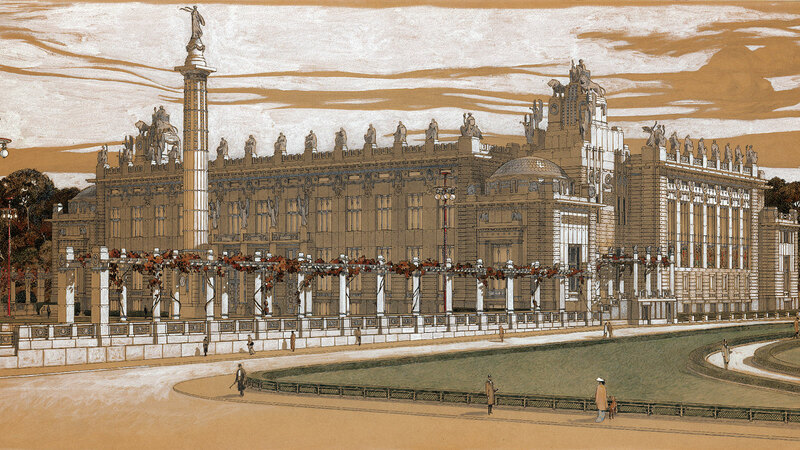 Still, by the time the Peace Palace competition was announced in 1906, architecture’s future had begun to emerge in singular buildings on both sides of the Atlantic. Indeed, of the 100 most influential buildings of the 20th century (as determined through an exhaustive survey of the world’s leading architects for the book 100 Buildings (Rizzoli 2017), eight predated the Peace Palace. Three were in the U.S.: Frank Lloyd Wright’s Robie House (Chicago; 1908–11), with its astonishing cantilevers, and his Larkin Administration Building (Buffalo; 1903–6), a kind of cathedral for workers; and the Arts and Crafts style Gamble House by the brothers Greene and Greene (Pasadena; 1907–19). 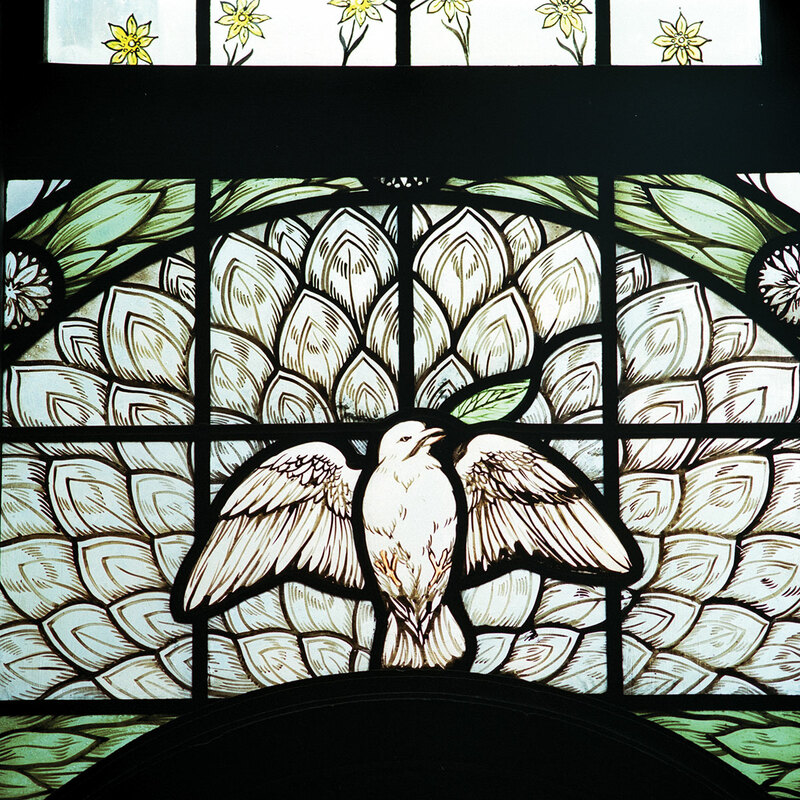 In Scotland, Charles Rennie Mackintosh was developing his own arts and crafts vocabulary with his Glasgow School of Art (Glasgow; 1896–1909). And on the Continent, Otto Wagner was exploring novel facade treatments with his Post Office Savings Bank (Vienna; 1903–12), covered in flat squares of marble. Less than a mile away, Adolf Loos, with his Michaelerplatz House, nicknamed Looshaus (Vienna; 1909–11), had explored ways to make plain materials like stucco beautiful. Peter Behrens looked at the aesthetics of industrialization with his AEG Factory in Berlin (1907–9). Perhaps most interestingly, in Holland Hendrik Berlage, the architect who in fact sued to overturn the competition results, had completed his stock exchange, the Beurs van Berlage (Amsterdam; 1896–1903), which helped make unadorned surfaces acceptable on significant public buildings. Each of these architects, though not ready to dispense with ornament entirely, pioneered new systems of decoration derived less from the classical orders than from scientific advances, non-representational art, and other contemporary sources. Were the judges of the Peace Palace architectural competition aware of these new directions in architecture? One of the finalists was Otto Wagner, though it’s true Wagner proposed a design far less modern than the work he was doing in Vienna. Wagner must have understood that the judges — given the location and purpose of the building, and their own backgrounds — weren’t looking for a radical architectural solution. What they wanted was a building that would align the arbitration court, a new untested institution, with powerful institutions of the past, and that’s what Louis-Marie Cordonnier delivered. Moreover, Cordonnier, busy at his office in Lille, had little interest in relocating to The Hague, or even in making regular visits. The board persuaded him to collaborate with a Dutch architect so as to move the project forward, and eventually Cordonnier brought in the Haarlem firm of Johan van der Steur. 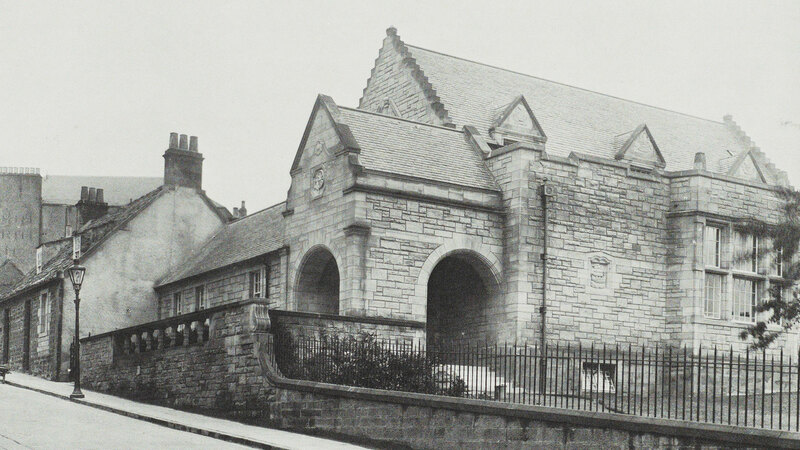 Even with the simplified design, the board had to ask Carnegie for additional funds — which led to his belated discovery that a brick-and-mortar library was to be a major part of the building. (When he initially offered to provide the funds for a library at the Peace Palace, Carnegie explained, he had meant a collection of books, not a library structure.) “I am positively wounded…. To speak of ‘The Library and Court of Arbitration’ is as if a bereaved husband were to ask plans for a sacred shrine to ‘my nephew and my dear wife,’” Carnegie wrote in a letter to David Jayne Hill, the U.S. minister in The Hague. However, through an exchange of letters and some personal diplomacy, matters were eventually smoothed over. America’s official gift was the marble statue representing Peace Through Justice, as it was named. After WWI, with President Wilson furious at the profitable neutrality of the Dutch during the war, the U.S. Congress did not vote in favor of a gift to the Peace Palace, and the statue (by Andrew O’Connor, and not produced until 1924) will initially have been meant for different purposes altogether. The marble lady of peace wears a wedding ring and has hands like shovels. Perhaps the records of O’Connor’s life will tell you more of the provenance of the statue! Remarkable for this room are its four stained-glass windows, which are a present of Great Britain. 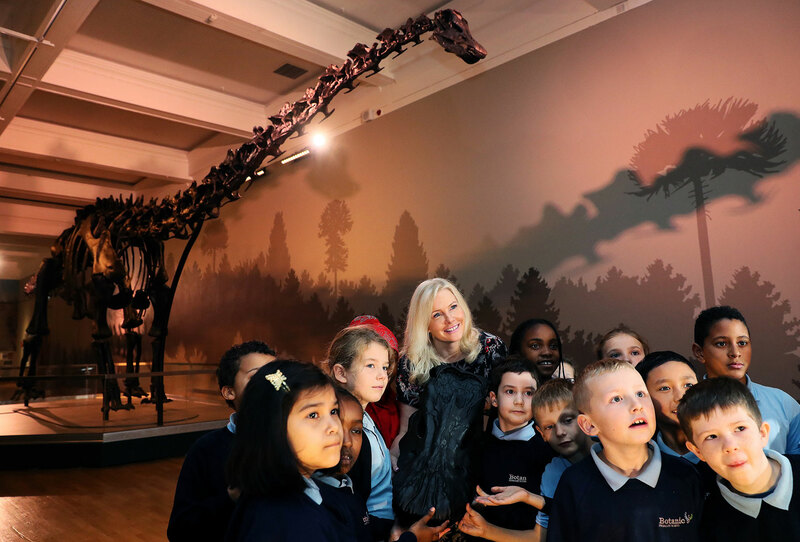 They were painted by Douglas Strachan and represent the development of mankind from its primitive days to the period when war as a means of international politics will have been banished. The painting by Albert Besnard is a gift from France. It represents a young woman separating two horsemen to prevent their fighting, while the men standing on the rocks are trying to settle their dispute by arbitration. Looking back a hundred years, or less perchance, from today, the future historian is to pronounce the opening of a World Court for the Settlement of International Disputes by Arbitration the greatest one step forward ever taken by man, in his long and checkered march upward from barbarism. Nothing he has yet accomplished equals the substitution for war, of judicial decisions founded upon International Law, which is slowly, yet surely, to become the corner stone, so long rejected by the builders, of the grand edifice of Civilization. Tragically, Carnegie’s certainty did not become a reality. Exactly 11 months to the day after the opening of the Peace Palace, World War I — “the war to end all wars” — erupted when Austria-Hungary declared war on Serbia. All seemed hopeless. 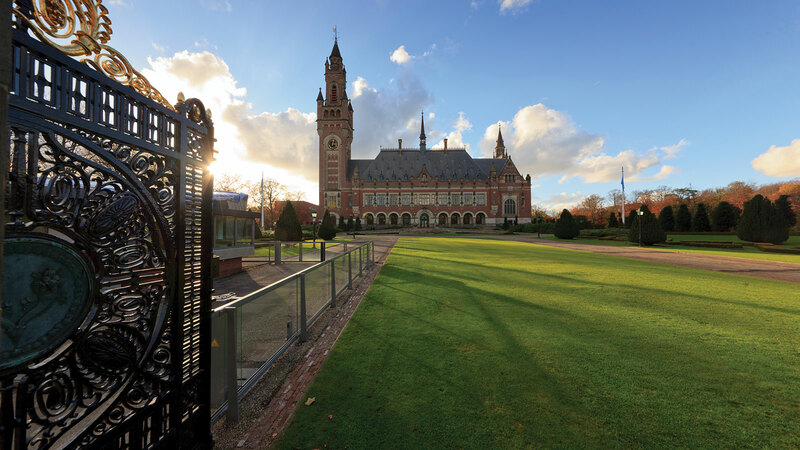 The Peace Palace endures, and the seemingly never-ending work of the world’s peacebuilders continues. 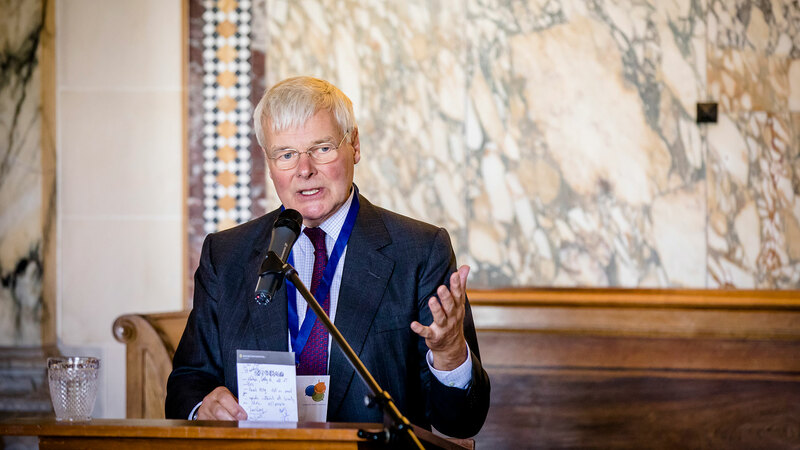 In late September 2018, at the Peace Palace, Carnegie PeaceBuilding Conversations connected leading stakeholders from various backgrounds and generations, including underrepresented players and those directly affected by conflict and war. Presented by Carnegie institutions worldwide and their partners, the three-day program was designed to generate unexpected insights and routes for progress in promoting world peace. Fred A. Bernstein studied architecture (at Princeton University) and law (at NYU) and writes about both subjects. He has contributed more than 400 articles, many on architecture, to the New York Times, and is a regular contributor to such magazines as Architectural Record and Architectural Digest. He has also published in journals like the New York University Review of Law and Social Change. In 2008 Bernstein won the Oculus Award, bestowed annually by the New York Chapter of the American Institute of Architects for excellence in architecture writing. How can we use Andrew Carnegie’s legacy today to strengthen the case for democracy and peace, as well as the values and institutions that uphold those ideals? 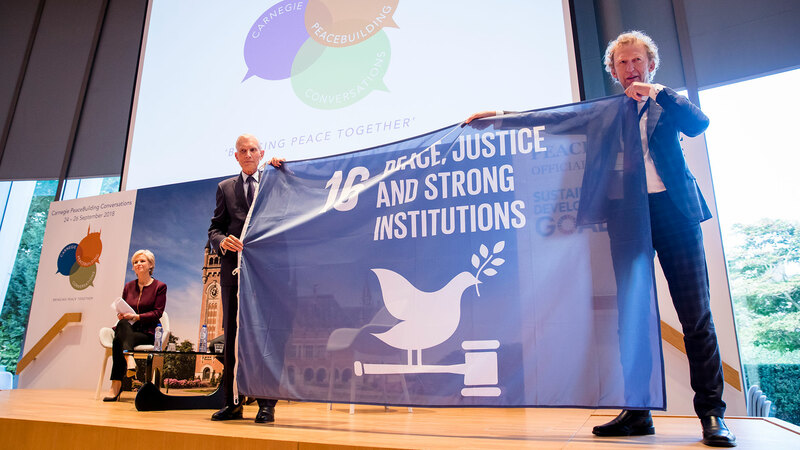 The Carnegie PeaceBuilding Conversations, a three-day program presented by Carnegie institutions worldwide and their partners, was held at the Peace Palace in The Hague in September 2018. Among the event’s roster of speakers, David Nasaw, the biographer of Andrew Carnegie and Arthur M. Schlesinger, Jr. 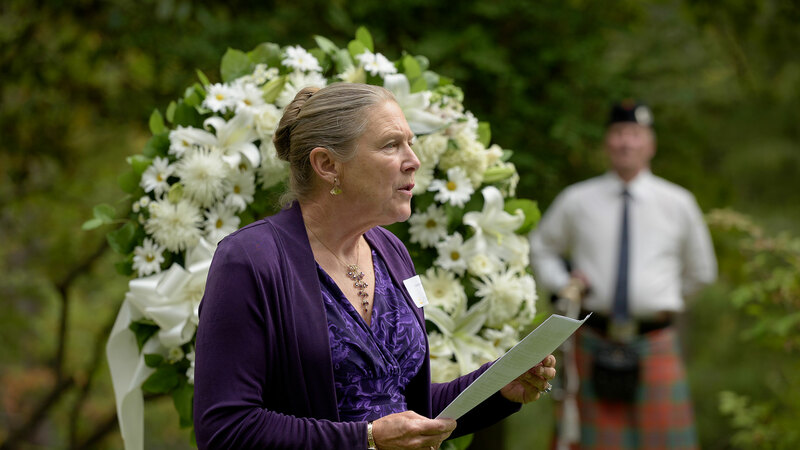 Distinguished Professor of History at the CUNY Graduate Center, examined the great Scot’s legacy both historically and in terms of more recent developments. Here follow Professor Nasaw’s prepared remarks. We are here today because of a funny-looking little Scotsman, who, in his high-heeled boots stood no more than five feet tall, a strange-looking gnome of a man who resembled Santa Claus in a top hat or a miniaturized Karl Marx. We are here today because that little man believed in evolution, in reason, in humanity. We are here today because that little man had a big voice and the money to make himself heard and be taken account of. We are here today because in an age too much like our own — an age of armaments escalations, build-ups, and races, an age where military men were saluted for their bravery and stout hearts and peace activists ignored or ridiculed as utopians, cranks, dreamers — that little man dedicated himself and a good part of his fortune, his welfare, his health, and his reputation to campaigning for peace. We are here today to celebrate, learn from, and carry on the legacy of a child of the Scottish Enlightenment; a man of the 19th century, the century of light and progress; an enthusiast, a utopian, a fool, a crank, a dreamer, but also a pragmatist and politician who preached the gospel of peace on earth. Andrew Carnegie had learned from Herbert Spencer that the laws of evolutionary progress guide change over time, that history has both purpose and direction, that the world was getting more prosperous, more civilized, more humane. 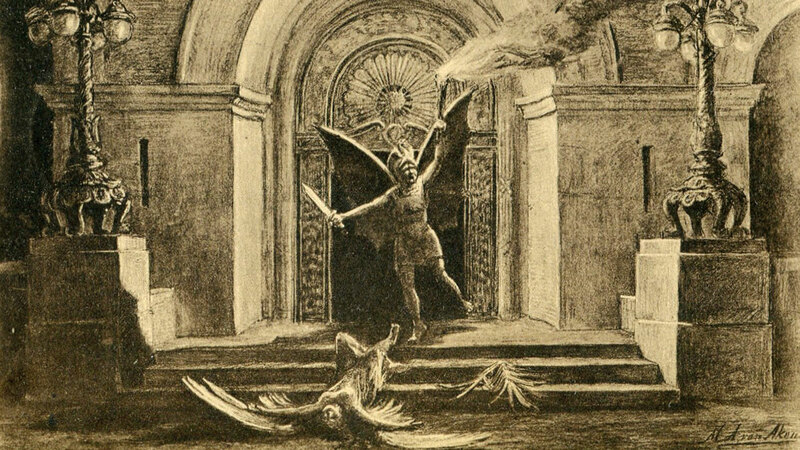 The age of barbarism had been marked by savagery, the inability of men to settle disputes other than through violence, the organized killing of innocent men by innocent men. The age of civilization would, on the contrary, be marked by the replacement of violence with reason in the settling of domestic, personal, and international disputes. Carnegie was not alone in campaigning for peace. 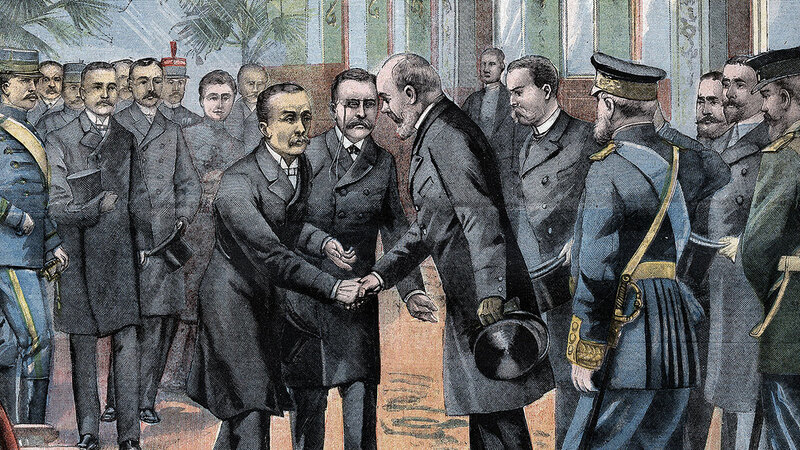 The first half of the 19th century, in the U.S. and Britain and on the continent, witnessed the proliferation of local, regional, and national peace and arbitration societies, congresses, and campaigns. A major international peace conference in 1849, to which the American peace societies sent as a delegate a former slave, condemned war and called for compulsory arbitration, reduced spending on armaments, the creation of an international “High Tribunal,” and a Congress of Nations. The early 19th-century peace movement did not end well — it was a victim of the Crimean War, of disagreements about what constituted good and bad conflicts, just and unjust wars, and of unresolved and perhaps unresolvable questions about whether the citizens of enslaved nations in Europe, like the Italians, had the right to fight for their freedom. This organized peace movement did not die — it instead entered on a new phase, one led by international lawyers and statesmen who argued that after centuries of warfare, peace would have to be built, step by step, through the creation of a body of international law and arbitration treaties that called for the peaceful resolution of disputes. Peace, disarmament, and arbitration activists like Andrew Carnegie had, by the last quarter of the 19th century, come to believe that their cause was not only just, but achievable. They pointed, with pride and hope, to 1872 and the peaceably arbitrated resolution of the “Alabama Case,” which had pitted Great Britain against the United States over the American demand for compensation for the damage caused by British-built confederate warships, and to 1895, when the Americans and the British peaceably settled another dispute over the boundary between Venezuela and British Guiana. “Truly,” Carnegie wrote Prime Minister Gladstone, arbitration as a substitute for war “seems to me the noblest question of our time.” The Americans and the British would set the example which the rest of the world would soon follow. The scaffolding for a new, civilized world order was already in place — here, at The Hague, where a Permanent Court of Arbitration had been established at the international conference in 1899, called by Czar Nicholas II, and attended by the representatives of 27 nations. The promise of peace through arbitration at The Hague was affirmed when, in December 1902, President Theodore Roosevelt persuaded Britain, Germany, Italy, and Venezuela to submit their dispute over Venezuela’s refusal to pay its debts for arbitration by the Permanent Court of Arbitration. To celebrate the dawn of this new era, Carnegie, in April 1903, committed $1.5 million (about $43 million today) for the erection of a Peace Palace to house the Permanent Court of Arbitration and a library. Mankind was now set on the path to peace — and progress along it appeared inexorable. In October 1904, U.S. Secretary of State Hay issued a call for a second peace conference at The Hague. In June 1905 Japan and Russia ceased hostilities and agreed to negotiate peace terms, with President Roosevelt as arbitrator, in Portsmouth, New Hampshire. “Most of the monuments in the world,” Carnegie had discovered, to his dismay, were “to somebody who has killed a lot of his fellowmen.” That was not heroism. His Hero Fund would call attention to, recognize, and reward the true heroes of the world. but it is pretty difficult. There is no type of man for whom I feel a more contemptuous abhorrence than for the one who makes a God of mere moneymaking and at the same time is always yelling out that kind of utterly stupid condemnation of war which in almost every case springs from a combination of defective physical courage, of unmanly shrinking from pain and effort, and of hopelessly twisted ideals.… It is as noxious folly to denounce war per se as it is to denounce business per se. Unrighteous war is a hideous evil; but I am not at all sure that it is worse evil than business unrighteousness. Carnegie was undeterred by the criticisms, by the caricatures, by the insults to his manhood. What worried him was that, while mankind appeared to be progressing toward peace, there were fearful signs of war on the horizon. The British and the Germans were engaged in an escalating battle to build bigger and bigger dreadnoughts, with other nations now entering the fray. Though Carnegie Steel was making a fortune outfitting new battleships with steel armor, Carnegie insisted that armor was for defensive, not offensive, purposes. And, to his partners’ dismay, he campaigned for an end to this arms race. Carnegie hoped and expected that the subject of disarmament would be discussed at the Second International Peace Conference in The Hague, which, after postponements, was scheduled to meet in June 1907, or at a disarmament conference in London, which he actively proposed and promoted. In the meantime, in preparation for the Hague conference, he took an active, oversized role in funding, organizing, and convening a massive and massively publicized meeting of the National Arbitration and Peace Congress at Carnegie Hall in April 1907. The meeting was a triumph — but it was only a meeting, an exhortation, and a prayer. The real work of peace was to be accomplished at The Hague that summer. Carnegie was not content to leave the business of peacemaking to the delegates. In early June 1907 he attended Kaiser Wilhelm II’s annual regatta at Kiel in northern Germany, hoping that he would be able to arrange a personal meeting and a personal connection to the kaiser. He did not get much of a chance to do so — the kaiser was more interested in his yachts than in talking peace to the strange little loquacious Scotsman about arbitration and The Hague. Despite the failures of the second Hague conference, Carnegie remained confident that naval disarmament, compulsory arbitration, and a League of Peace would come to pass, but perhaps not just yet. The nations of the world had failed to bring about the desired end at their conference at The Hague, but Carnegie would succeed where they had failed, through the power of personal diplomacy. He had already established firm connections with the leaders of the U.S. and the U.K., helped along by healthy contributions to the Republicans in America and the Liberal Party in the U.K. He had lesser but still friendly personal relationships with the leaders of France and Italy. He had failed, however, and failed rather spectacularly, to make any headway with Kaiser Wilhelm II. But he did not despair. He would enlist as his surrogate peacemaker a man who would have no trouble gaining an audience with and sitting down with the kaiser. Theodore Roosevelt would be his representative, his agent, his envoy, his liaison to the European heads of state. While president, Roosevelt had been prohibited by custom from leaving the country. His term of office would, however, end in March 1909 and he would be free to travel the world on Carnegie’s behalf. In April 1910 Roosevelt arrived in Europe from his African adventures and was greeted like a conquering hero in Paris, then in Belgium, the Netherlands, Denmark, and Norway (where he received the Nobel Prize for his role in arbitrating an end to the Russo-Japanese War). Carnegie’s plan was that Roosevelt meet first with Kaiser Wilhelm II in Berlin and enlist his support for a compulsory arbitration treaty, and then go to London to meet with the leaders of the British government to secure their approval. This grandest of schemes was derailed, temporarily, when on the eve of Roosevelt’s arrival in Berlin, Edward VII of Britain died, and all future diplomatic activity ground to a halt. But even had the king (who happened to be the kaiser’s uncle) lived, Carnegie’s grand scheme was destined for failure. Roosevelt had no intention of doing his bidding. Roosevelt not only failed to secure the agreement of the kaiser to move forward but, in the wake of King Edward VII’s death and the hubbub over succession and the coronation of a new monarch, he gleefully postponed and then canceled his meetings with the leaders of the ruling Liberal Party in Britain. Carnegie’s plans had fallen flat — there would be no arbitration treaty, no disarmament conference in London, no League of Peace in The Hague. But he did not give up hope. Instead he shifted his focus from Europe to Washington, where he intended, under the leadership of President Taft, to secure passage of a meaningful, near compulsory bilateral treaty of arbitration between the U.S. and Britain, after which similar treaties would be negotiated with France, Germany, Russia, Italy, and Japan, culminating in the creation of a functioning League of Peace. Taft’s treaties ran into trouble almost immediately, when it became clear that the Senate Foreign Relations Committee was not going to sign a treaty which obligated the nation to arbitrate issues of “honor” or “national interest” without the Senate’s explicit approval. Teddy Roosevelt, now on the warpath against his successor, declared, in no uncertain terms, that the nation that pledged to arbitrate its differences would end up dishonored and impotent, like the man who, when his wife was assaulted by a ruffian, took the ruffian to court instead of attacking him on the spot. Carnegie wanted to fight back against Roosevelt and treaty opponents by launching a publicity campaign organized and funded by his new Endowment, but Elihu Root refused to do so. Carnegie did not argue — as a matter of principle, he did not overrule the men he had chosen to run his various philanthropic endeavors. Instead he took $10,000 of his own money to pay for clergymen to travel to Washington and lobby their senators. Again, his efforts came up short and Taft’s arbitration treaty bill was eviscerated by amendments. The Hague conference had failed, Roosevelt’s mission for peace had ended in failure, and the treaties of arbitration which Taft had attempted to push through Congress had been destroyed by Congress. The arms race in Europe continued apace. And still, the “Star-Spangled Scotsman,” as he proudly called himself, refused to give up. 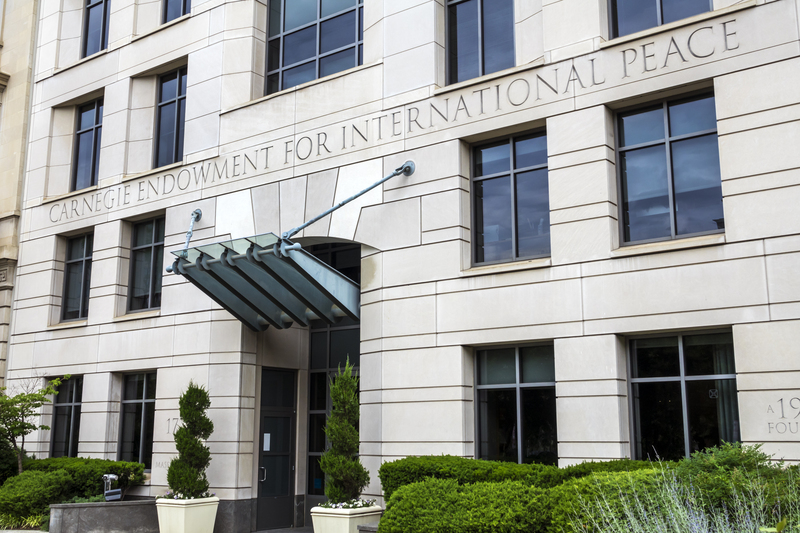 In February 1914, bowing to Elihu Root’s wish to keep the Endowment out of political controversies, Carnegie endowed a second agency, the Church Peace Union (known today as the Carnegie Council for Ethics in International Affairs) with $2 million, with the understanding that it would take a more activist role than the Endowment could. With the leaders of the new organization, an ecumenical group of churchmen, all peace activists, he planned an international conference to be held in Germany in August. And then, the unthinkable. Carnegie, as had been his routine for decades, spent the summer of 1914 in Scotland, when, as he had predicted, the spark he had spent the last 20 years trying to extinguish took flame, and absent any compulsory arbitration mechanisms or institutions, the nations of Europe resorted to violence to settle a local dispute between Austria and Serbia. 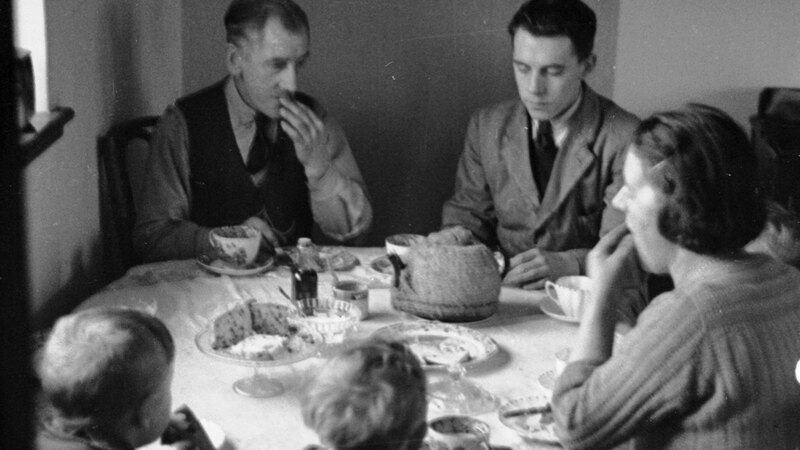 His first task was to rescue the Church Peace Union delegates from Britain and the United States who had been trapped in Germany when war was declared. That accomplished, he returned to the United States and went immediately to Washington, where he implored President Wilson and the American government to do what it could to broker some sort of peace agreement. He failed, the war ground on, the killing accelerated. Carnegie celebrated his 79th birthday in November 1914. In December he predicted that if a League of Peace were not established at the end of the war now raging, the vanquished would rise up again to renew the cycle of bloodshed. This was to be his last interview. He retreated into silence, stopped writing, seeing visitors, speaking, corresponding; he refused to read the newspapers. His friends were distraught, as, of course, was Louise, his wife, who did not recognize the once voluble, active little man who could not stop talking. They were convinced he had suffered some sort of a nervous breakdown, brought about by his failure to do anything to stop the Great War. The supreme optimist had in the end been defeated by the reality of man’s inhumanity to man. And had ceased to communicate with the world around him. And Woodrow Wilson may have been right. We are here today because Andrew Carnegie remains with us in spirit. 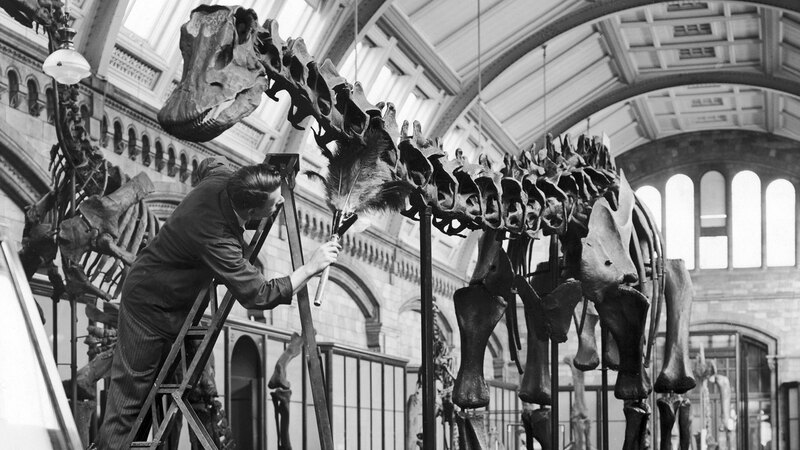 He was a man of the 19th century who hoped for better in the 20th century. We are now nearly two decades into the 21st. Might we not take something away from Andrew Carnegie’s crusade for peace, failed though it was. Let us pause — at this moment, in this grand Palace of Peace, and look back across the desolate dark century that has passed, the world wars, the genocides, the killing fields. Without forgetting the horrors of our recent past and the dismal failures to build a lasting peace, let us remember, celebrate, and build upon this little man’s dreams. Let us renew, with him, our commitment to work towards a future when reason and humankind take the final step forward on the path from barbarism to civilization.